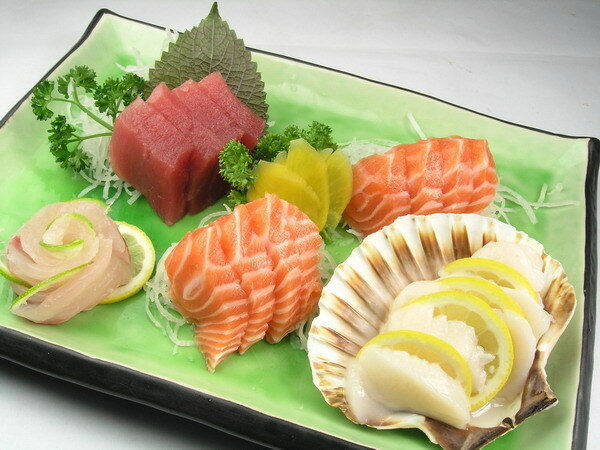 Assortiment de sashimi (20 tranches) et Riz Nature.Assorted sashimi (20 slices) and Steamed Rice . 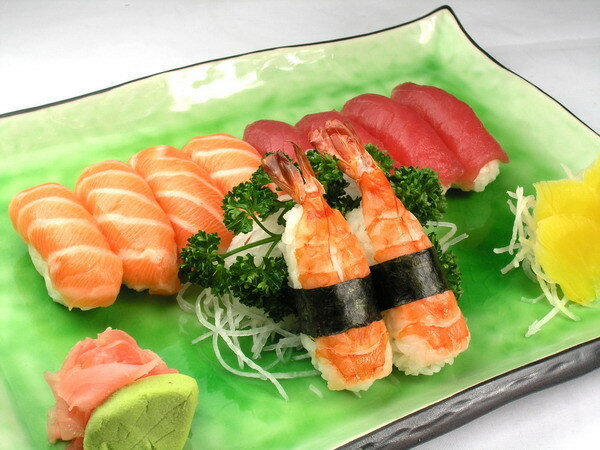 4 sushi thon, 4 sushi saumon et 2 sushi crevette.4 tuna sushi, 4 salmon sushi and 2 shrimp sushi. 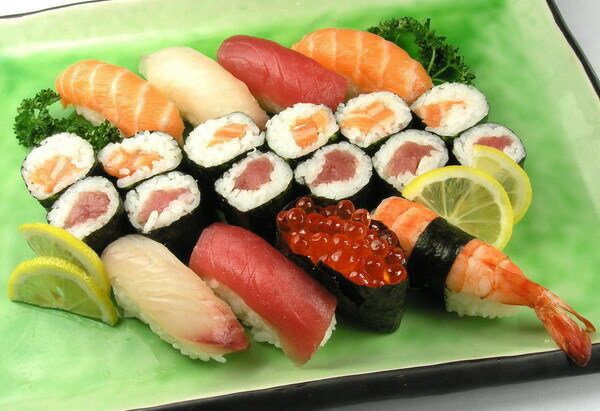 8 sushi assortis et 12 maki. 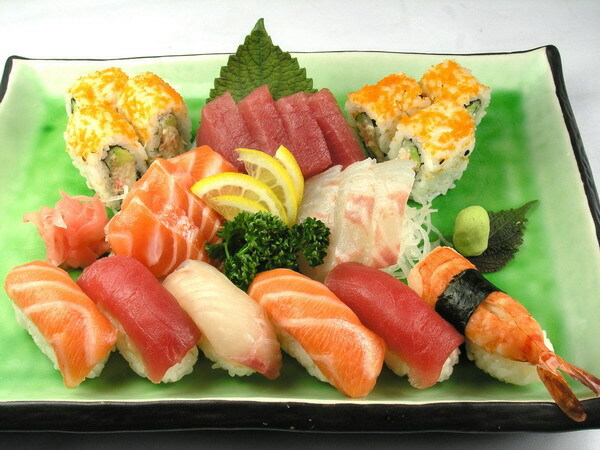 8 assorted sushi and 12 maki. 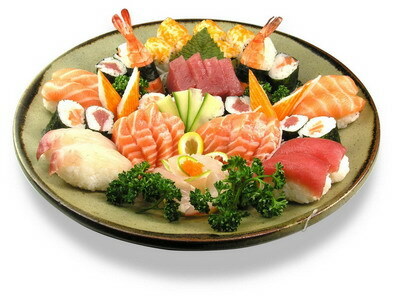 2 sushi soumon, 2 sushi thon, 2 sushi dorade,6 tranches de sashimi et 6 pieces de maki au soumon. 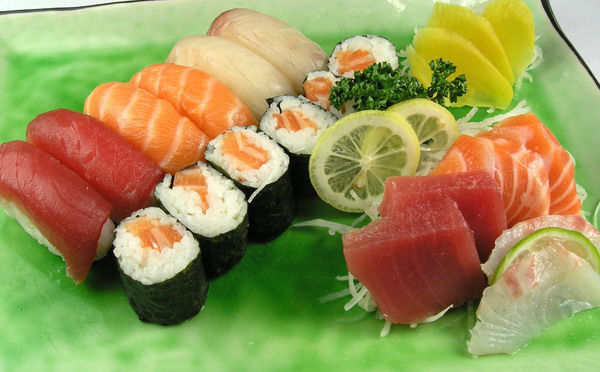 2 salmon sushi, 2 tuna sushi, 2 snapper sushi.6 slices of sashimi and 6 pieces of salmon maki. 6 California Royal au crabe, 6 Shaké Spècial au saumon et avocat,6 California Maki ou surimi et avocot.6 Royal California with crab, 6 avocado and salmon, 6 surimi & avocado. 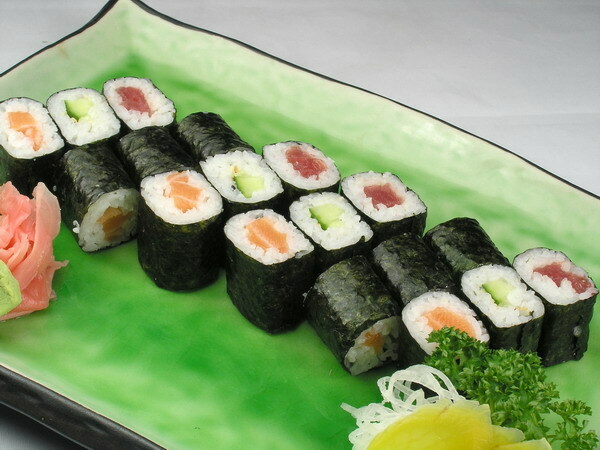 6 pcs maki au saumon, 6 pcs maki au thon et 6 pcs maki au concombre ou 18 pièces de maki végétarien. 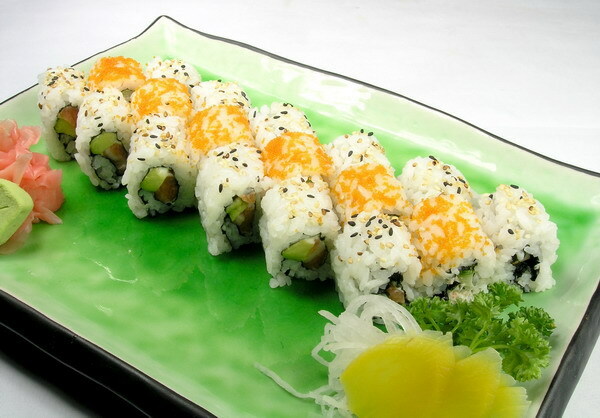 6 pcs salmon maki, 6 pcs tuna maki and 6 pcs cucumber maki or 18 pieces of vegetarian maki. 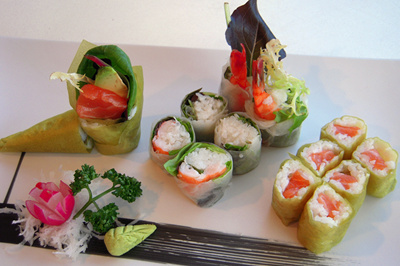 Maki avocat & saumon, maki fromage au thon et maki dorade &avocat. 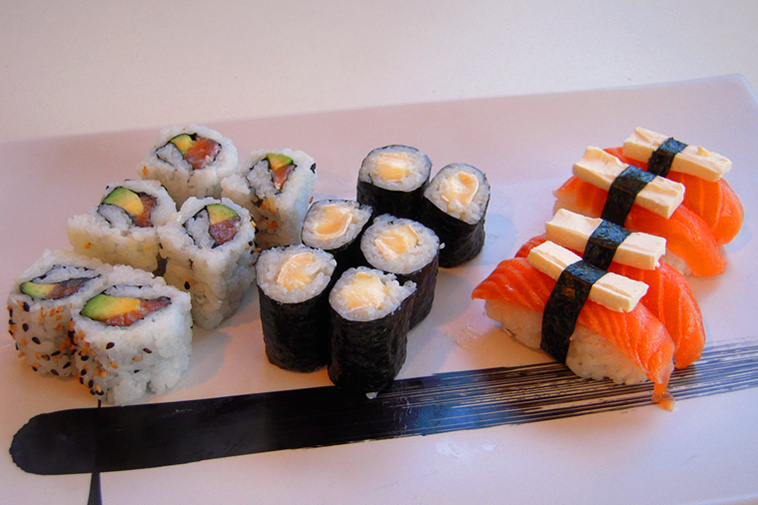 Avocado & salmon maki, cheese & tuna maki, snapper & avocado maki. 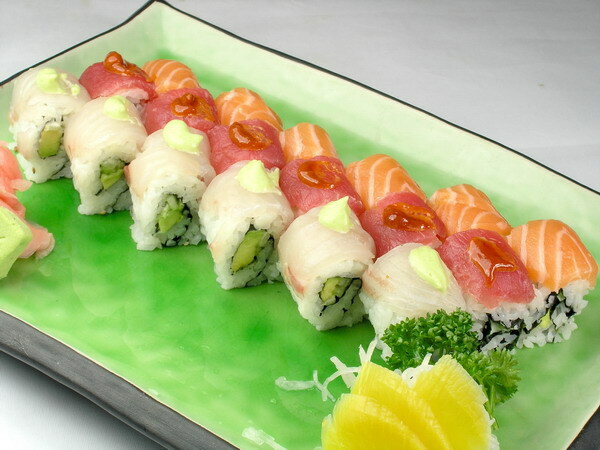 6 pcs de sushi, 9 tranches de sashimi et 6 pcs California Royal.6 pcs of sushi, 9 slices of sashimi and 6 pcs of Royal Californi Maki. 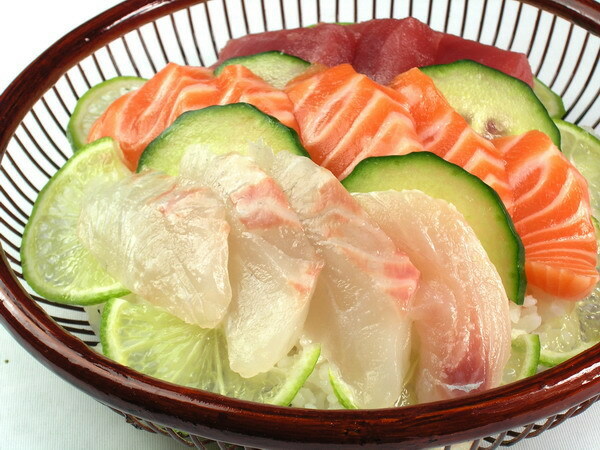 Assortiment de sashimi sur un lit de riz vinaigrette.Bowl of sushi rice topped with assorted sashimi.